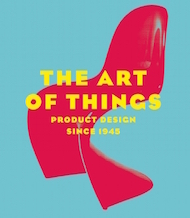 The Art Of Things, edited by Dominique Forest, is the most comprehensive history of post-war product design, with almost 600 pages and more than 700 illustrations, including many full-page photographs. The original French edition had a better title (L'Art Du Design), though the English version has a brighter, more striking slipcase. The book focuses on American, European, and Japanese design, with chapters devoted to each country individually. It also has a useful chapter on the emergence of design, and an extensive bibliography. Although subtitled Product Design Since 1945, The Art Of Things also covers design from the inter-war period: "the new products of the early twentieth century were still laden with antiquated motifs and ornamentation. Between 1925 and 1930, though, the art deco style was imported from Europe and established a firm hold on American design." The US chapter, for example, includes the Bell 302 telephone. The chapter on Italy begins with the Futurist manifesto, and the Belgium and the Netherlands chapter extends even further, to include the Nieuwe Kunst movement and Gerrit Rietveld's Red & Blue Chair. 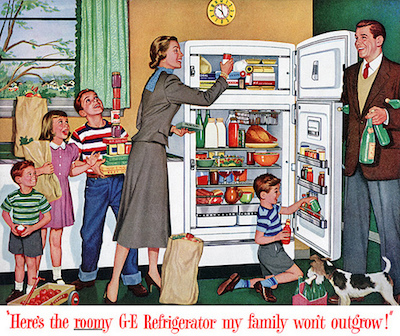 Fitted kitchens, white goods, and modern furniture became domestic status symbols in 1950s America: "The U.S. led the way in designing vehicles and kitchen appliances, and in making the "dream home" the key site of consumer aspiration and desire." Charles and Ray Eames remain the most celebrated designers of this Mid-Century Modern era: "Perhaps no single designed artifact expressed the idea of the modern lifestyle better than the Eamses' famous rosewood lounge chair". Car ownership also increased in the 1950s, and the Cadillac Eldorado was one of the most iconic automobile designs, "heavily influenced by jet fighters and space travel." Technology is an essential aspect of product design, and the book highlights Japanese electronic innovation such as Sony's TX8-301 television: "a number of Japanese high-tech manufacturers began to develop sophisticated products characterized by their portability, flexibility, and miniature scale." It also includes examples of advanced German engineering such as the Leica IIIc camera and the Mercedes 300SL sports car. Dieter Rams, head of design for Braun in the 1960s, is recognised as the most influential German designer: "Rams changed the international face and reputation of German industrial design more than any other designer during the second half of the twentieth century". Jony Ive, Apple's head of design, was inspired by Rams, and his work "resulted in the transformation of a series of electronic devices into lifestyle objects." Eames, Rams, and Ive are among a handful of industrial designers who have become as famous as their products. The Art Of Things singles out Philippe Starck as the most notable of these design superstars, who "achieved an unprecedented degree of recognition, popularizing a discipline that was still little known among the general public." The book devotes six pages to Starck and "his most iconic objects" including the Juicy Salif lemon squeezer. 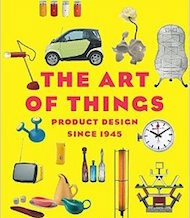 Like The Art Of Things, A History Of Industrial Design (Edward Lucie Smith), History of Modern Design (David Raizman), and The Story Of Design (Charlotte and Peter Fiell) also focus on European, American, and Japanese design, though History Of Design (Pat Kirkham and Susan Weber) has a wider scope. The Fiells also wrote two encyclopedic guides to modern design: Industrial Design A-Z and Design Of The 20th Century, though The Design Encyclopedia (Mel Byars) is a more comprehensive A-Z guide. Phaidon has published two visual histories of modern product design: the three-volume Phaidon Design Classics and the compact The Design Book.